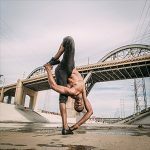 With 68,000 Instagram followers and counting, Lamonte Goode — more commonly known as just @cyberyoga — is the artistic director, founder, and creator of a type of movement that some would say defies gravity. 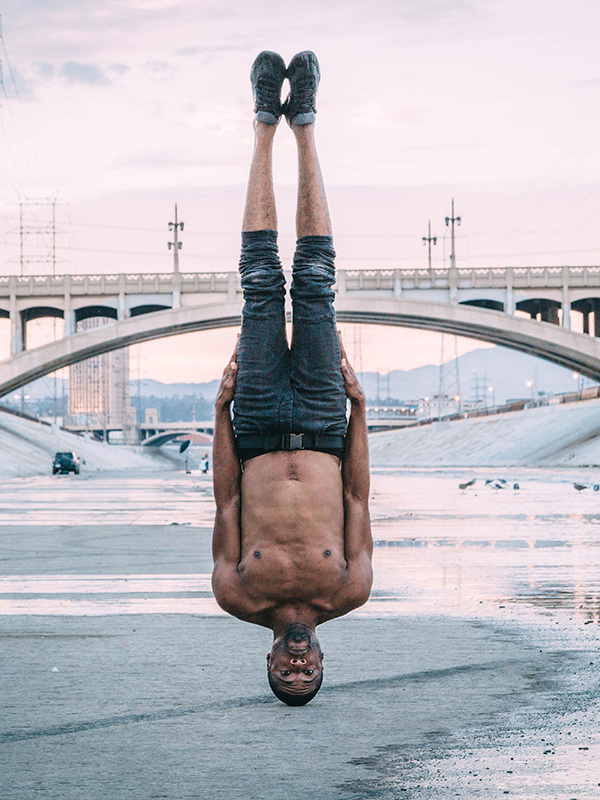 “Cyber” is an acronym for Calisthenics, Yoga, Breakdance, Evolution, Revolution. 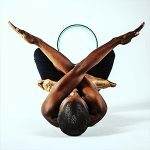 Lamonte combines movement with spirituality and art in a unique practice athletes and dancers all over the world are eager to try. 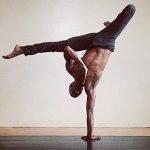 Yoga binds everything together in this new-age, futuristic, and spiritual practice that’s based on the foundation of yoga and the transformation of future movement. Originally from Akron, Ohio and dancing since high school, Lamonte now calls Los Angeles home and has appeared in films, commercials, TV shows, and more as well as music videos for notorious artists such as Rhianna, Shakira, Eminem, Snoop Dogg, and Wyclef Jean. 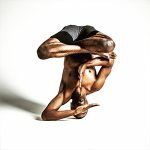 A champion of the belief that anyone can do anything they put their mind to, Lamonte creates to inspire. It’s what keeps him growing and hopefully an idea he can pass on to students of his practice. 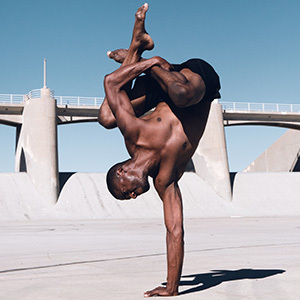 A self-taught dancer with a love for atypical movement and anything that can be categorized as extraordinary, Lamonte has been performing in live showcases and competitions since 1996. 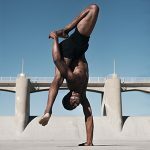 The internationally-recognized handstand and arm balancing expert holds workshops and clinics in L.A. as well as out of state and overseas. 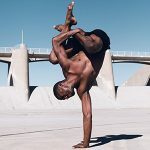 When he’s not teaching, he goes back to basics with training, competing, and/or performing and is inspired by art, architecture, nature and the fluid movements the human body can produce if both body and mind pushed to the limit. 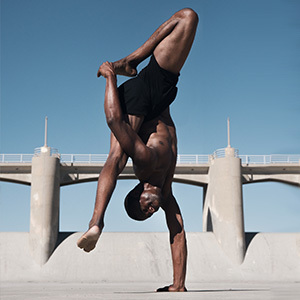 Watch Lamonte’s handstand videos on YouTube and follow his journey on social media. Email for more information, to book a session, or just to say hello. ©2014-2019 The Aerial Classroom. All rights reserved.